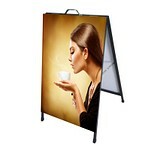 A frames are the most popular cost effective promotional products to inform the local customers about your business. You can order us for one or more A frames. Backdrop banner is perfect choice expose brand at press conference, media photo session, exhibitions, seminars and trade shows. 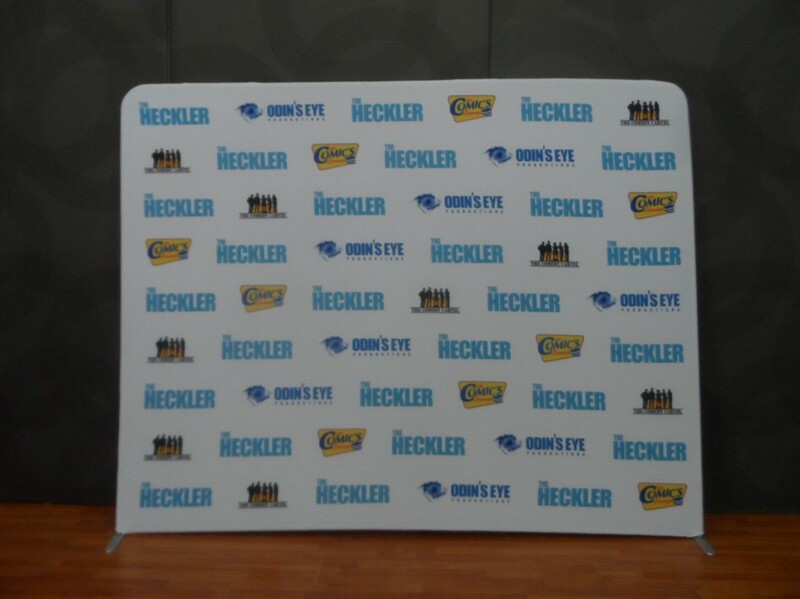 Media wall banner are quick assembled portable banner with no tool. Banner is the most economical & effective item for promotion of any business. Banner is used as business banner, school banner, church banner , birthday banner & event banner to deliver the business message to the people at large. The rope banner can be hanged outside your shop or show room and in the crowded areas near the banks and offices. Advantages of Glass Graphics for advertising. Glass graphics is the great way to expose your products and services to the potential customers. This gives your brand a strong recognition. Leaving your glass windows or doors empty not only give a plain look but also disturb your privacy, to create privacy you go for the curtains or blinds to cover the space. The blinds or curtains don't give an professional look to your business area. Window frosting is the unique item to create privacy in your office or showrooms.Wall graphics are highly versatile and available in various shapes, sizes and designs. Different materials are used for glass graphics. The removable vinyl stickers, vinyl lettering, graphics and window frosting. The adhesive used for the wall decals is of very high quality. It does not harm the quality of your glass windows or doors. For the special sale promotion, festival sale or for season sale glass graphics can clue the shoppers about the sale and can direct them about the area where your sale items are kept in the showroom. You can display your discounts on the doors of your showrooms to attract the passerby and invite them to avail the sale. Affordable glass graphics give an elegant look to the glass window and glass doors of your office or retail store. You can decorate them with impressive graphics related to your business to highlight your products or services. At reception area, patient's waiting room, cafes, restaurants, hotels and offices to create privacy economical wall graphics is an excellent item. Your glass windows or doors are the area of the business premise visible to all passerby and traffic. If you cover them with your message or graphics they quickly grab the attention of pedestrians. This the most valuable space which you can use for marketing of your products or services without investing a lot. 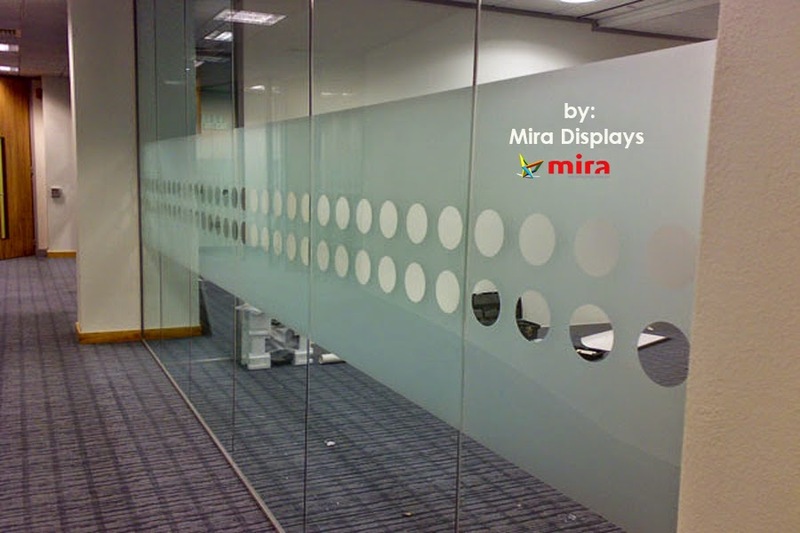 Mira Displays at Sydney is the leading manufacturer and supplier of glass graphics. We can install the window graphics and frosting within or nearby Sydney. We can send the vinyl stickers for your glass windows or doors to Melbourne, Gold Coast, Adelaide, Canberra, Brisbane and anywhere in Australia.